Stunning audiences worldwide with his explosive pianism, Nachito shares his Latin/Cuban romanticism in an elegant trio setting. 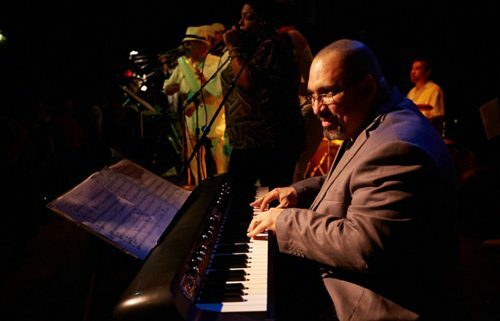 A veteran of “Cubanismo” and the Afro-Cuban All Stars, he’s widely hailed as a dynamic, intense crowd pleaser. Nachito artfully combines jaw-dropping virtuosity with soulful, romantic keyboard excursions. Second Seating: doors open at 7:30pm, music begins at 8:00pm (75-minute performance). Dinner service and full bar available (additional cost); $30 food and beverage minimum per person.